Our team of painters and decorators have the knowledge and experience to understand your decorating requirements, offer advice where required, and redecorate your home or establishment to a more than professional standard. Our Mallorca team of painters and decorators provide an outstanding quality of painting and decorating at highly competitive rates and offer a FREE Quotation service for all your painting and decorating needs. Our Mallorca painters & decorators specialise in interior / exterior painting and decorating, wallpapering, plastering, tiling, coving and more. 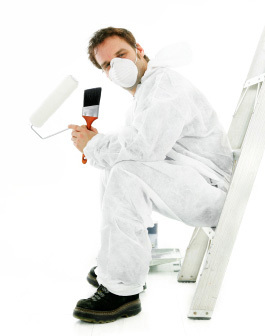 Although we are commercial and residential painters and decorators, we have close ties with non painting and decorating contractors such as electricians, carpenters, carpet fitters, builders, plumbers etc. 0034 662 122 662 and we'll be happy to help.